Arsenal playmaker Henrikh Mkhitaryan says it is a pleasure to play alongside teammate MesutOzil. He believes that they can combine to devastating effect for their opponents. Both of them were instrumental to the 2-0 defeat of AC Milan in the first leg of the Round of 16 in the Europa League. Following recent woes including back to back losses to Manchester City in the EFL Cup final and Premier League, there were renewed attacks on Coach Arsene Wenger and the team as a whole. The Gunners were even predicted to lose to a Milan side on the rise but the Premier League side humbled their hosts at the San Siro. Ozil recorded two assists to help an improved Arsenal side put a leg forward in the next stage. Mkhitaryan, who netted in the game, has been under fire for performances in recent games. The Armenian started very well after moving to the Emirates from Manchester United. He provided three assists on his debut against Everton but slumped in performances later. He scored his opening goal in the Arsenal jersey in front of over 70,000 Milan fans. The excited man responded to quiz about playing with Ozil, saying: “This is not the first time that two No. 10s play together. 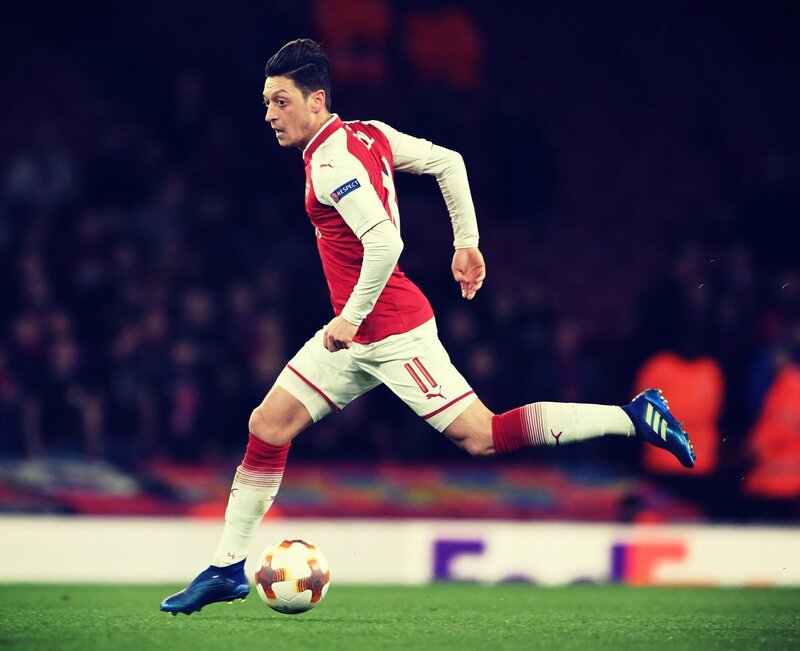 It’s just a pleasure to play alongside such a player like MesutOzil, because everyone knows that he is a world class player.” The former Borussia Dortmund star said Ozil can always provide assists in games and he can return the favour as well. In other games, Atletico Madrid won at home 3-0 against Russian side Lokomotiv Moscow. Salzburg shocked Dortmund at home, defeating them 2-1, just as Lyon shocked CSKA Moscow at home by the slimmest of margin. RB Leipzig beat Zenit 2-1 while Sporting CP beat Viktoria Plzen 2-0. Lazio played a 2-2 draw at home with Ukrainian side Dynamo Kiev and Ligue 1 side Marseille defeated Athletic Bilbao 3-1.